Bobby Labonte is a NASCAR race driver who began racing quarter midgets in Texas in 1969. In 1980 in Atlanta, GA Labonte finished third in his NASCAR International Sedan Series debut. In 1987, Labonte won 12 races at Caraway Speedway driving late-model stock cars and in 1991 he won the NASCAR Busch Series championship with two wins plus 10 top-five and 21 top-10 finishes. In 1993, Labonte joined Bill Davis Racing to drive in the Winston Cup Series. In 2000 he became the Winston Cup Series Champion. Sports Speakers 360 is a booking agent for pro athletes. 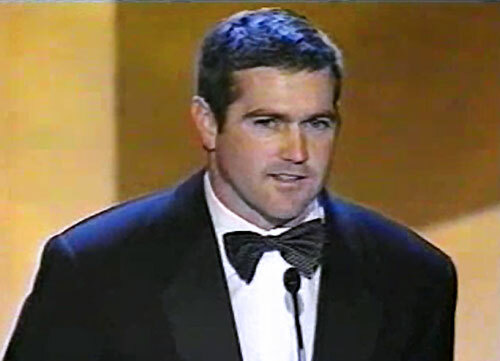 If you would like to book Bobby Labonte for a speaking engagement, appearance or endorsement, contact a Bobby Labonte booking agent for fees at 1.855.303.5450.